For those not involved in farming, January may seem like an off time of the year for farmers. But there’s plenty of work for farmers during winter, and their days are filled with tasks such as planning crops, ordering seed, repairing equipment and meeting the challenges of caring for livestock in cold weather. 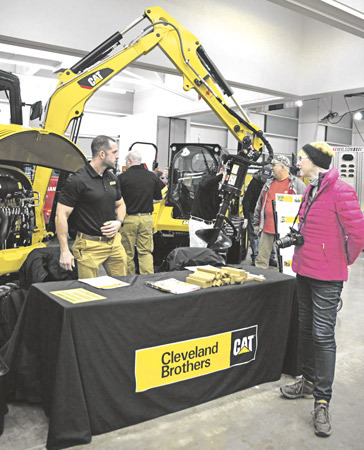 Despite this busy season, many farmers take time to visit the Keystone Farm Show in York, PA, to check out the latest in farm services and equipment. The three-day show, held Jan. 8 – 10 this year, draws crowds from across the Mid-Atlantic region. 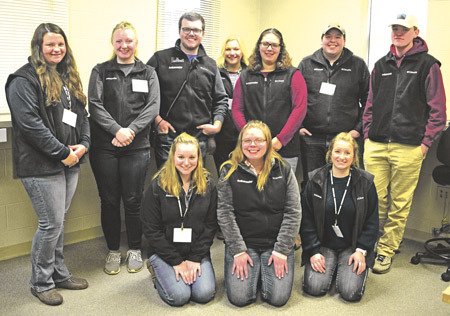 For many, it’s a family outing, which provides farmers with an opportunity to show the next generation some of the latest advances in ag technology. 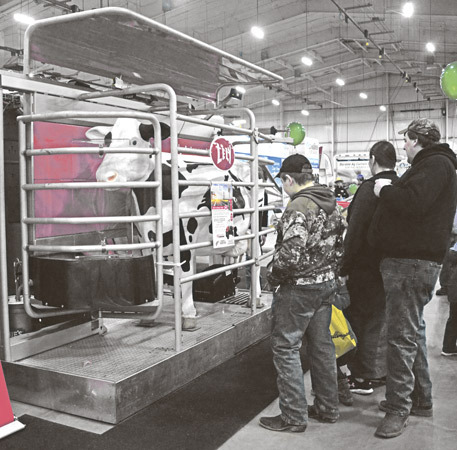 One important aspect of the Keystone Farm Show that benefits both youth and adults is the opportunity to learn about farm safety, with displays and demonstrations suitable for all ages. 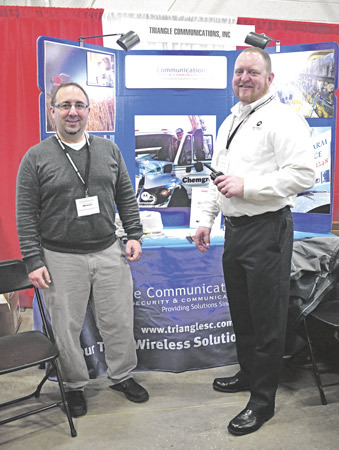 Ian Hitchener, sales manager for Lee Newspapers’ Country Folks, the Keystone Farm Show and the Virginia Farm Show, estimated that about 500 exhibitors set up for the show, the largest of its kind in Pennsylvania, one of the largest in the Mid-Atlantic region, and growing every year. A show like Keystone doesn’t happen without a lot of planning. Show management arrived a week prior to the show to finalize preparations and ensure a smooth move-in and set up for exhibitors. By the time the first visitors arrive on Tuesday, everything was in place and show staff were on hand to provide assistance wherever needed. Most attendees live within several hours of the show, and after their first visit, they’re likely to return the next year. The show is advertised through Lee Newspapers’ various publications including Country Folks, as well as e-newsletters and some outside radio and print advertising. Word of mouth among the farming community also brings many visitors. While many exhibitors were from the Mid-Atlantic region, national and international companies were well-represented by local affiliates. Hitchener said the show continues to grow each year, and many exhibitors have already turned in their contracts for 2020. 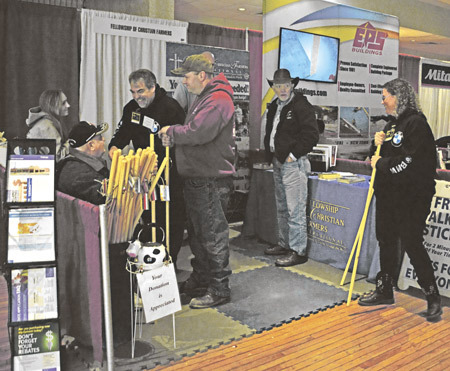 In addition to the opportunity to see and learn about a variety of farm equipment and services, show attendees take advantage of a variety of educational sessions. Tuesday’s seminars offered the latest information on pesticide formulations, pesticide safety, fungicides for corn and soybeans, and an update on dicamba and Xtend® soybeans. Wednesday’s seminars included late season crop disease issues, pollinators and pesticide stewardship, weed control in hay and pastures and pesticide resistance management. Farmers attending these seminars were eligible to receive credits toward their pesticide applicator licenses. 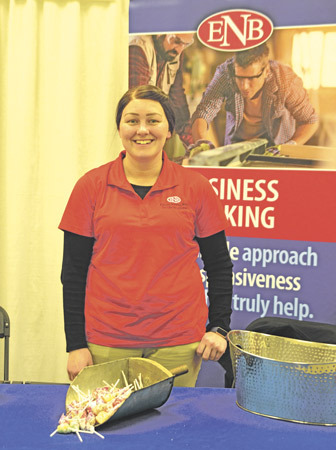 If the dates aren’t already circled on your calendar, be sure to set aside time for the next Keystone Farm Show, which will take place Jan. 7 – 9, 2020.